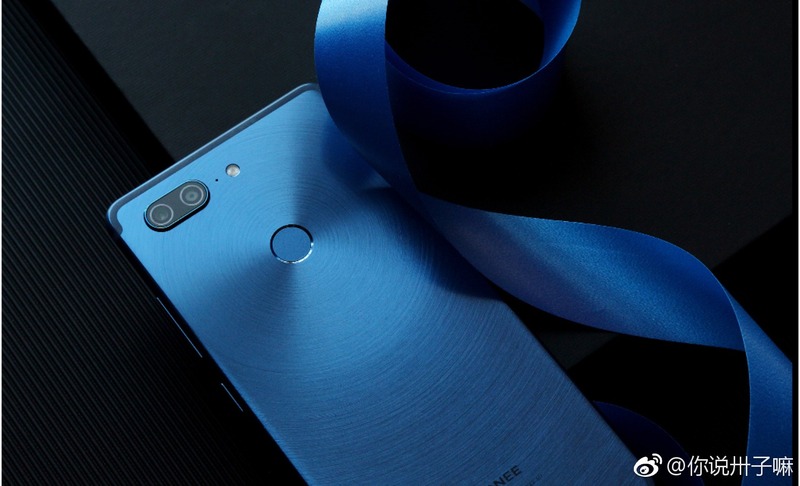 From past few weeks, Gionee is teasing the launch of its Gionee M7 smartphone that is happening on 25th September. 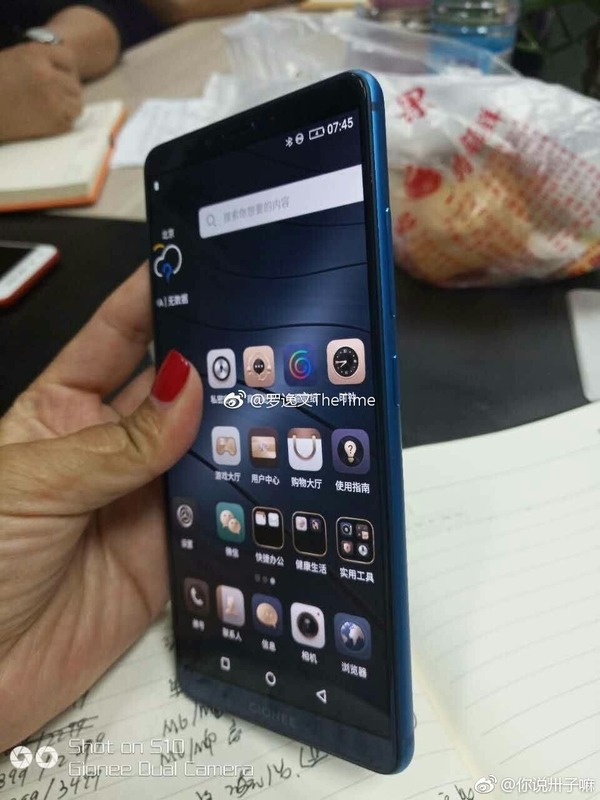 It features an 18:9 display. Today, the phone leaked via the renders that show the rear side of the M7 with dual cameras and iPhone 7-like Antenna lines. Just now, we got the hands-on images of the smartphone, showing the design from both the front as well as the back. On the front, the phone has a display with very fewer bezels on the sides as well as on the top and bottom. It is not a full bezel-less display, but since the display covers most of the space on the front, it looks good (Except for those black borders). The volume rockers and the power button are placed on the right whereas the SIM card tray is probably on the left. 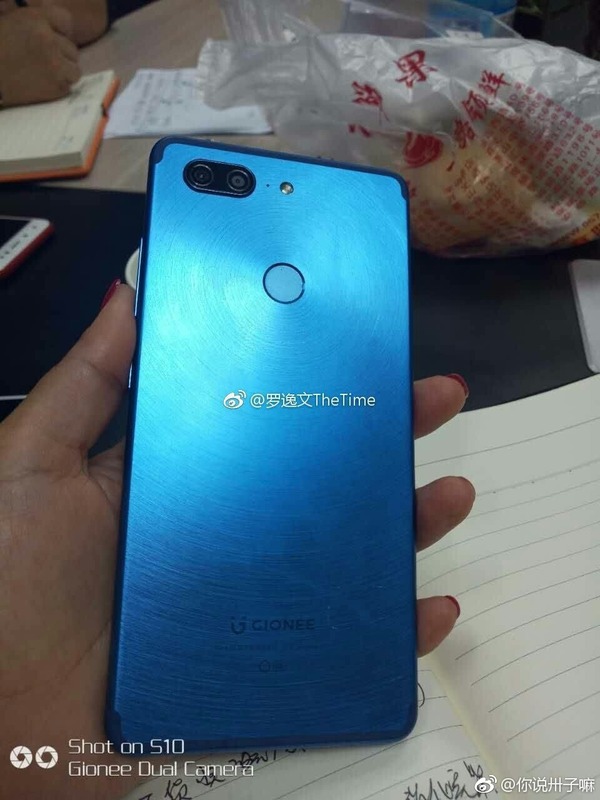 Now, we are already familiar with the design from the back via the renders of the phone. There is the same camera module design as on the iPhone 7 Plus with the mic and dual LED flash placed on the right of the dual lens setup. Below the camera module is the rear-facing fingerprint scanner. The Antenna lines are also the same as on the iPhones. It looks like the back is made up of metal and there is no glass on top of it. The launch is set to happen on 25th September, and the phone is rumoured to feature a 6-inch display with a 2160x1080p display (18:9 aspect ratio), Helio P30 Chipset, 6GB RAM and Android 7.1.1 Nougat. 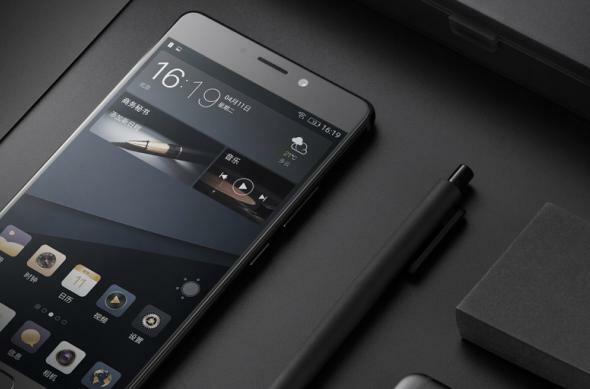 Nice lookingbphone but it’s so unfortunate that I’m never using a Gionee Phone again.